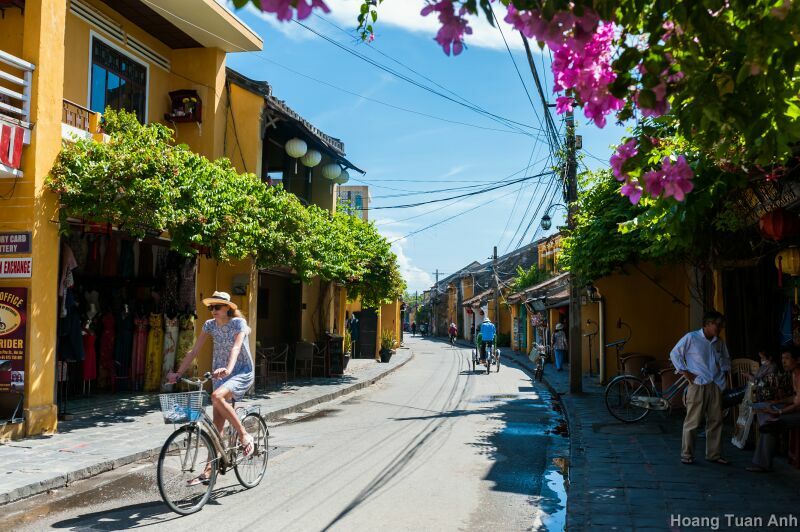 Hoi An, 30 kilometers south of Da Nang, has won much love among global travelers after becoming a familiar name in global rankings by respected international travel magazines. For a second year in a row the ancient town has made it to the list of 15 best tourism cities on earth based on a vote by readers of the New York-based Travel + Leisure. From being a small rural village, Hoi An catapulted to global fame as the top travel destination in Southeast Asia because of some unique distinctions, which have repeatedly been hailed year after year. Its slow pace and tranquil atmosphere, difficult to find elsewhere, make it stand out from other places in the country. Hoi An came eighth in the list, down one spot from last year, while San Miguel de Allende in Mexico reigned supreme for a second consecutive year. Thailand’s Chiang Mai, Kyoto in Japan and Ubud in Indonesia are three other Southeast Asian cities that appeared in the list. Every year, for its World’s Best Awards survey, Travel + Leisure asks its readers to weigh in with travel experiences around the globe and share their opinions on the top cities, islands, cruise ships, spas, airlines, and others. Readers rate cities based on their sights and landmarks, culture, cuisine, friendliness, shopping, and overall value. U.S. news network CNN recently listed Hoi An as one of the 16 best places in the world to relax and de-stress.